Courts take jail records into consideration when determining the amount of bond for a defendant. A defendant’s jail records will indicate whether or not a defendant has ever been in jail before. 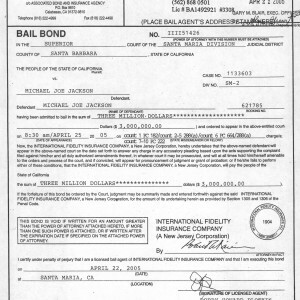 Certain jail records are available in the public domain. Anyone can search jail records for inmate information. For more information about obtaining jail records talk to the professional and fully licensed Orange County and Los Angeles bail bond agents of Bail Bonds.com.